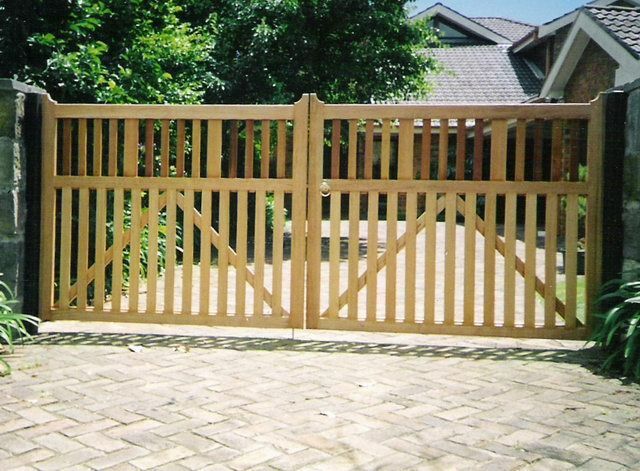 Leisurewood Gates was established in 1981 and has a long tradition of producing high quality gates and fences on the Northern Beaches of Sydney. We offer the full service designing, manufacturing and the installation of Automatic Gates. All our gates can be custom designed and created to best suit your home. We also specialise in Aluminium Gates, Steel gates and Fencing. Timber Gates are a great way to update your home frontage, whilst keeping your family and pets safe. At Leisurewood, we create custom designs to suit the style of your home, whether that be modern or traditional. Working with wood allows for a range of affordable designs providing you with a unique entrance to your home.